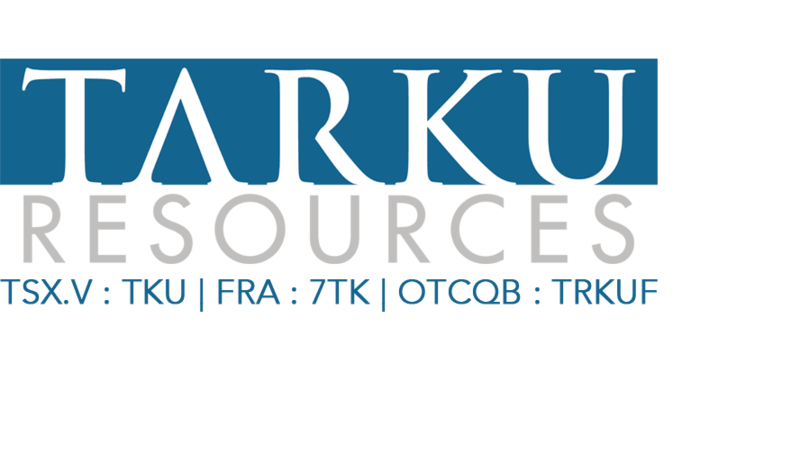 SASKATOON, SASKATCHEWAN - April 20, 2017 - Tarku Resources Ltd. (TSX VENTURE:TKU) (the "Company" or "Tarku") announces that it has completed a private placement (the "Offering") and has raised gross proceeds of $193,500 The closing consisted of 3,870,000 units (the "Units") at a price of $0.05 per Unit. Each Unit consists of one common share in the capital of the Company (a "Share") and one half common share purchase warrant (a "Warrant"). Each Warrant will entitle the holder to purchase one common share at a price of $0.08 until February 19, 2019. The Shares issued are subject to a statutory hold period in accordance with applicable securities legislation which expires 4 months from closing. Cash finders' fees were paid on the proceeds from the closing in the amount of $4,900.